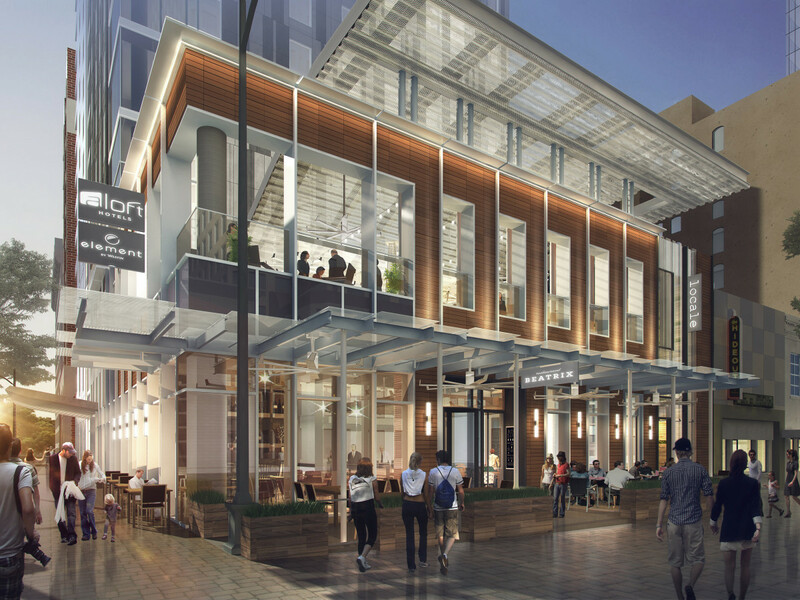 Downtown Austin's hotel boom continues with an anticipated summer debut. 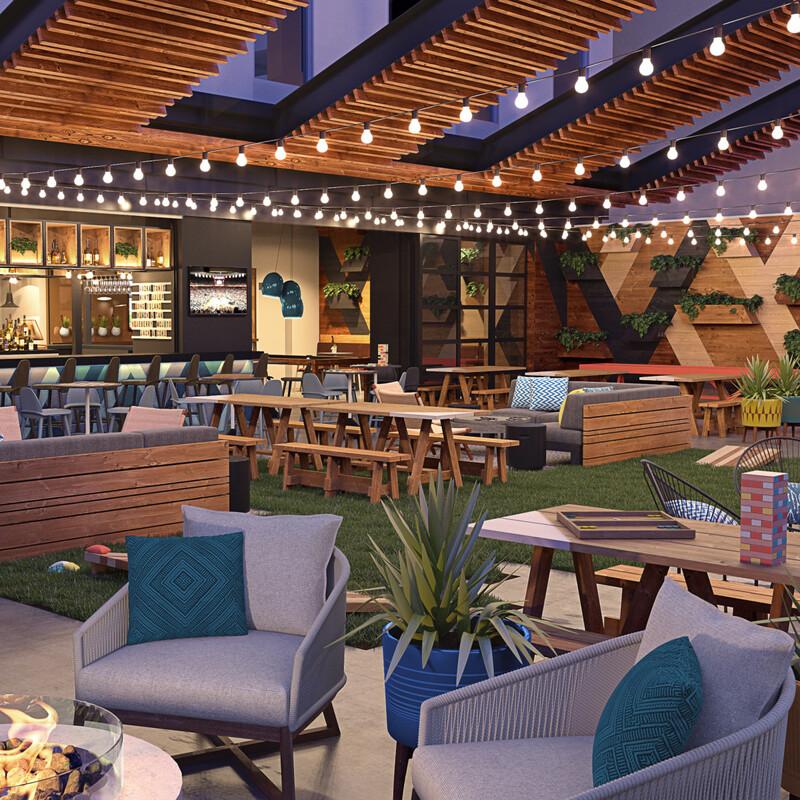 The dual-branded Aloft and Element is on track to open July 27 at the intersection of Congress Avenue and Seventh Street. 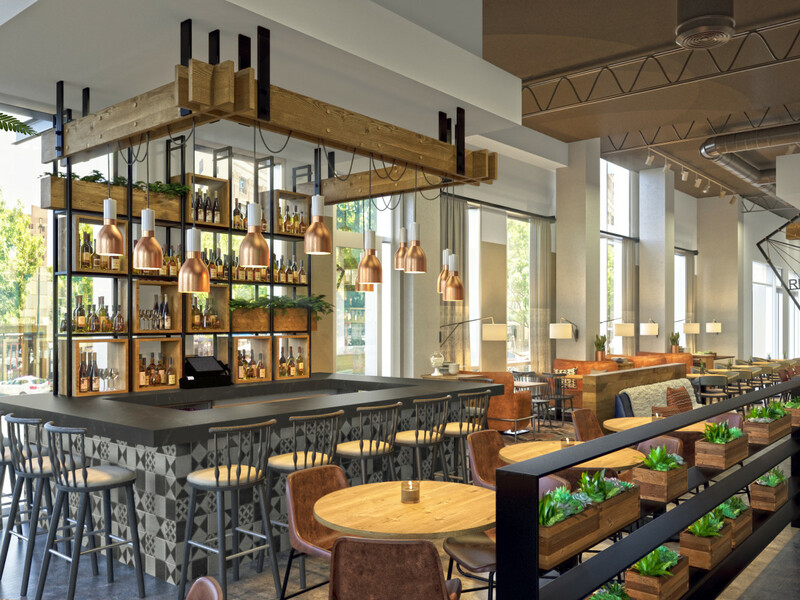 The concept from Starwood Hotels & Resorts, announced in 2015, offers two distinct experiences in the same space. 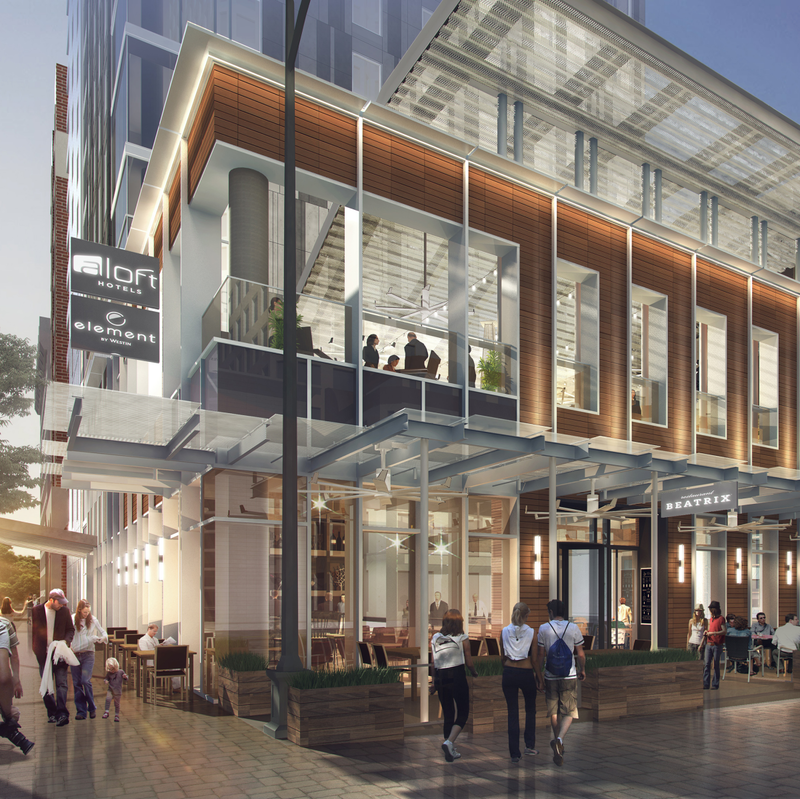 Aloft Austin Downtown is funky and urban, while Element Austin Downtown focuses on clean, eco-friendly design. 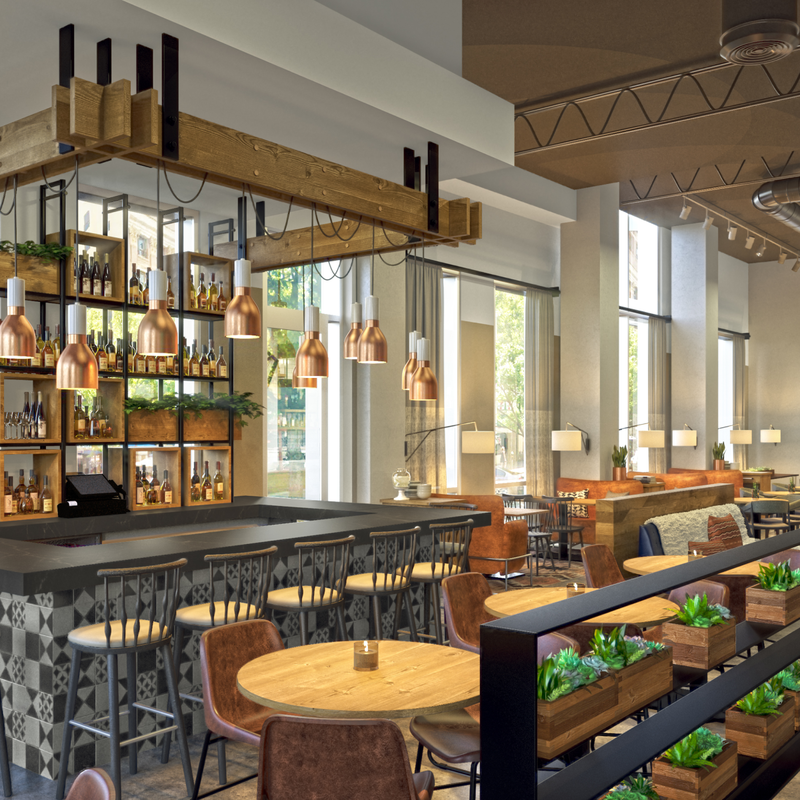 Shared amenities include an all-hours fitness center, almost 2,500 square feet of meeting space, and a dining concept: an all-purpose eatery, Caroline, on the first floor, and a second-floor space dubbed Upstairs at Caroline with an outdoor lounge and later hours. Both restaurants are open to both the public and guests. 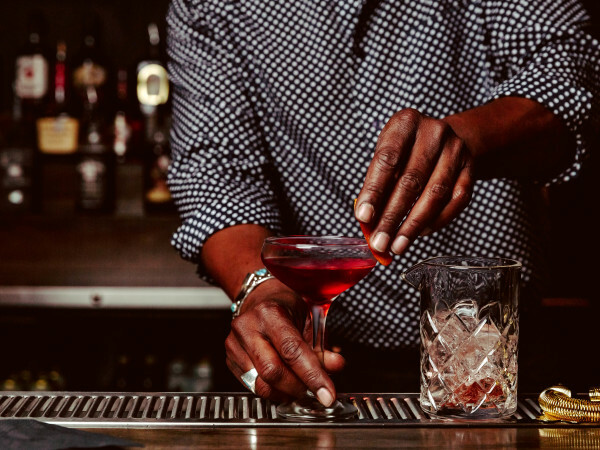 Look forward to a largely American menu, a coffee program, and the full lineup of adult beverages. 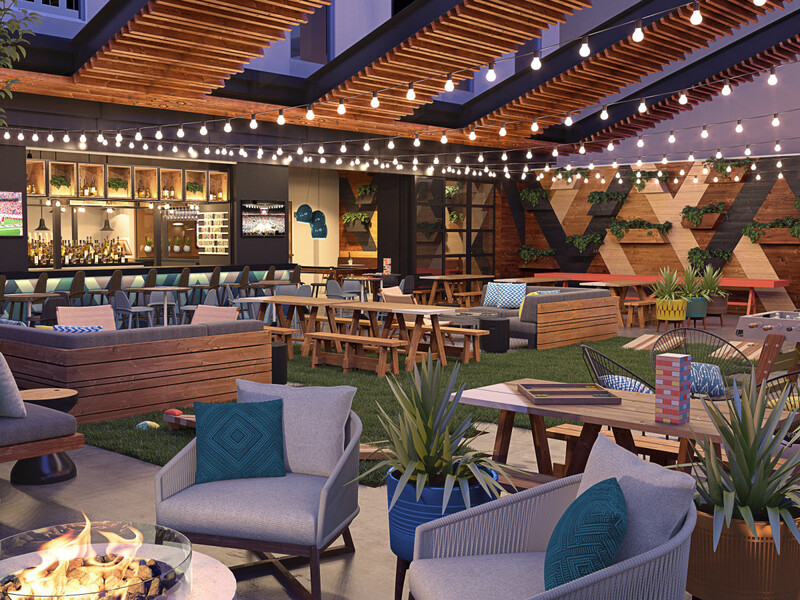 The larger 278-room Aloft, Austin's second behind the one in the The Domain, boasts industrial touches, high ceilings, and vibrant color schemes. 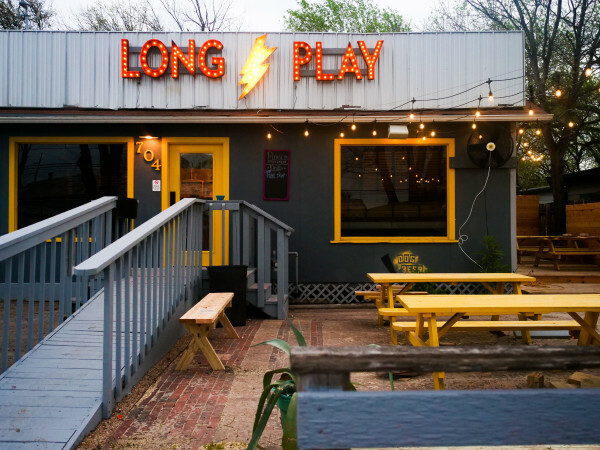 This is the first Element to open in Austin; it features 144 rooms with open layouts, green appliances, and natural light. Reservations are being accepted for stays after August 15. Opening rates for both concepts start at $180 per night for a single-occupancy room. 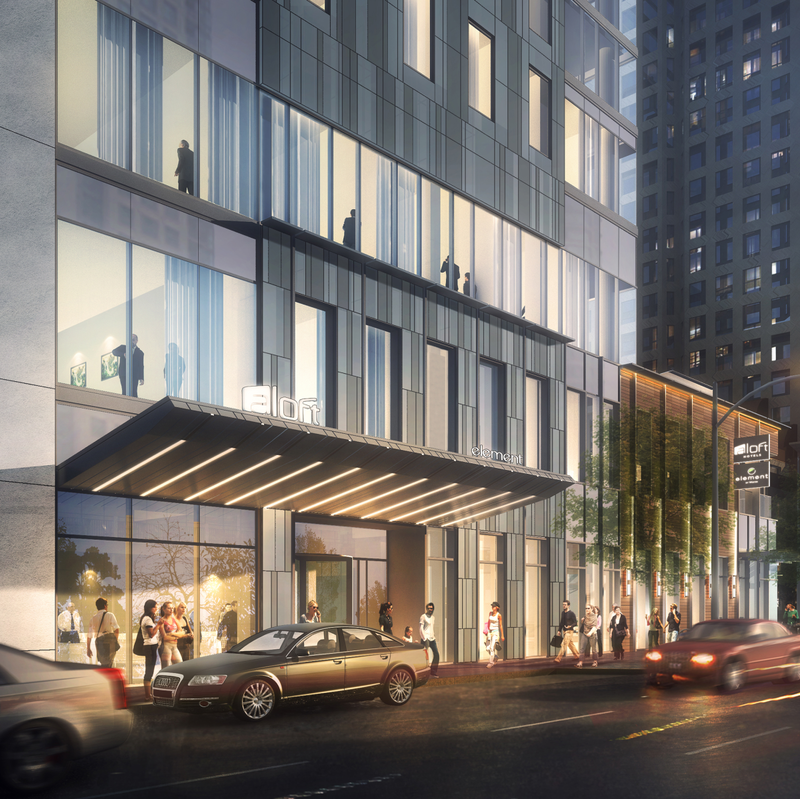 Aloft and Element aren't the only hotels joining the downtown skyline. 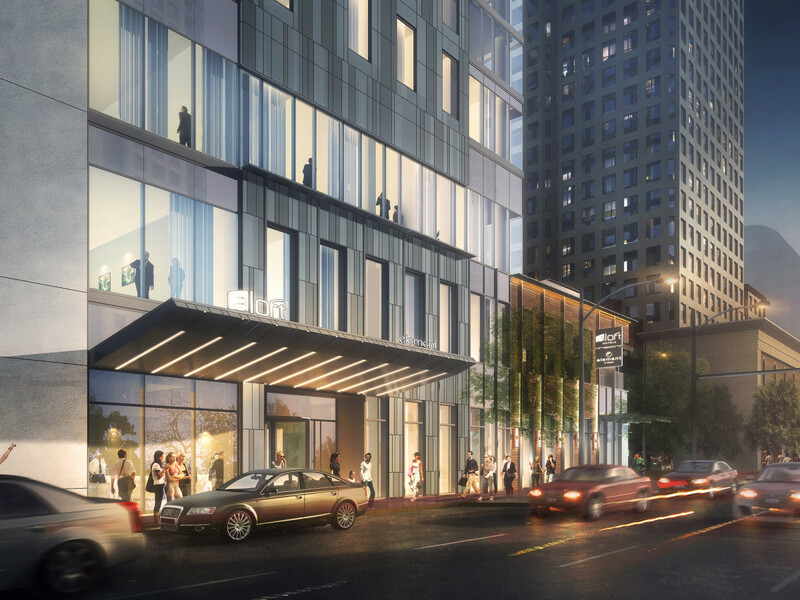 Fairmont Austin is slated to debut this fall with 1,048 rooms and five restaurant concepts. 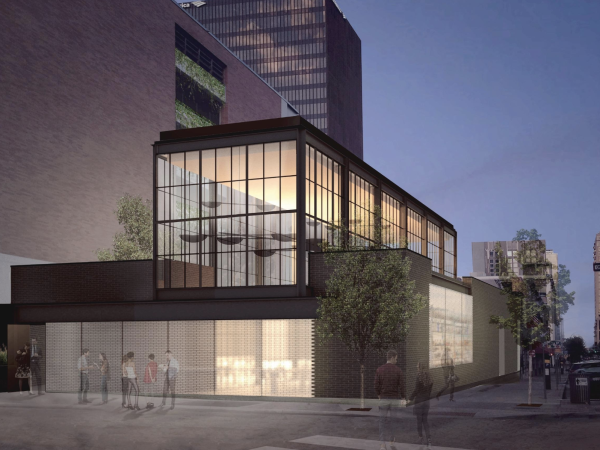 Developers White Lodging, who are also behind Aloft and Element, are working to open a Marriott Hotel on the corner of Cesar Chavez and Trinity streets by summer 2019.